From northbound I-25, take Exit 148. Stay straight, travel through the first light. Turn right on southbound N. Nevada Ave. Travel right on N. Campus (W) at the light, by the Veterinary Specialty Center sign. Driveway is shared with Advenir at the Village Apartments. From southbound I-25, take exit 148. Turn left onto southbound N. Nevada Ave. Travel south 0.2 miles. Turn right onto N. Campus (W) at the light, by the Veterinary Specialty Center sign. Driveway is shared with Advenir at the Village apartments. 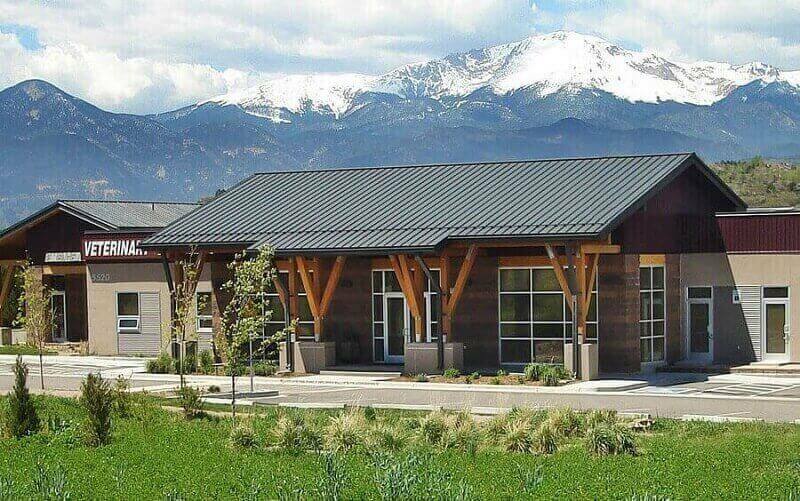 Our specialty veterinary hospital is conveniently located near the foothills of the beautiful Rocky Mountains in Colorado Springs, CO. Our cross-streets are N. Nevada Avenue and N. Campus, just North of the University Village Shopping Center and Trader Joes. Look for our sign out from with the Labrador that says “Veterinary Specialty Center”.